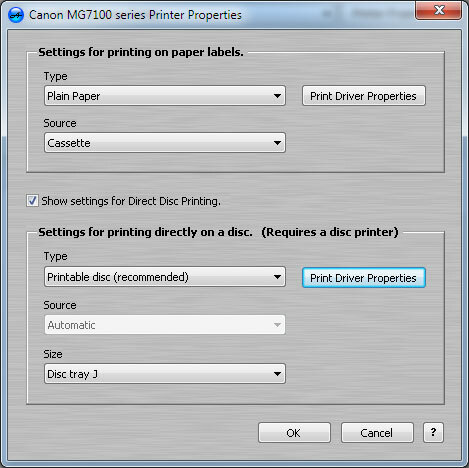 Having Problems printing to disc with my Canon mg 7160 Can you assist? To print directly on the disc using the Canon MG7160, please select the "Canon - All Models Tray J" template in the "Change Label Template" dialog of AudioLabel. If you still can't get things to work, please describe the problem in more detail. Are there any error messages? Thanks I ve since solved it but the settings for the disc placement were not the same as the default settings.